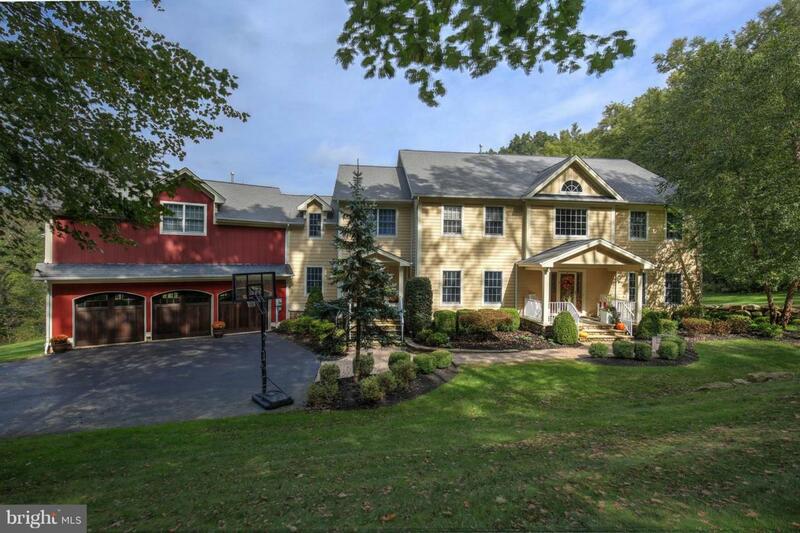 Exceptional Center Hall Colonial with dramatic 2 story foyer and great room with open concept floor plan. This 4 bdrm/3.1 bath, approx 5400 sq ft home on 10 acres in very desirable neighborhood. Kitchen and great room are adjoining, the DR is very spacious with plenty of room for large entertaining occasions.The formal living room leads to what is currently the game room w/potential to transform to 1st floor bedroom. Beautiful detailed architectural moldings throughout the home as well as hardwood on both levels.The updated custom kitchen has wood cabinets, granite countertops & breakfast bar, Viking SS 5 burner range & Subzero refrig. Numerous W/I closets both levels w/plentiful storage space. Master bath recently updated. 2 master closets custom fitted w/built-ins. Custom window treatments throughout The exterior of home is HardiPlank. The house has 3 HVAC units, a generator, 3 car garage with beautiful wood stained doors, a blue stone patio as well as a deck. Incorporated City Name Lebanon Twp.